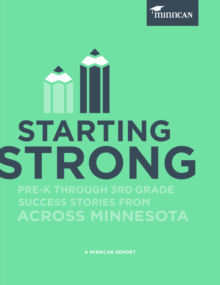 Minnesotans care deeply about public education, and in fall 2014, we set out to learn more about this shared value. 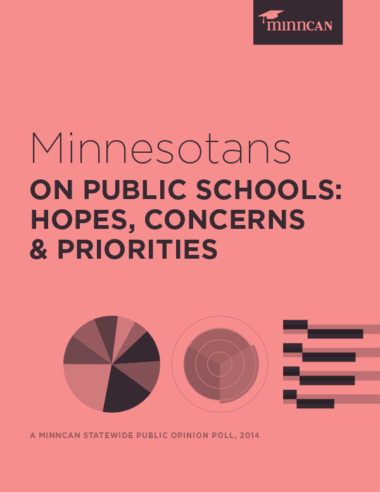 By polling people across the state, we investigated how Minnesotans believe our schools are doing, and what education issues matter most to them, at the ballot box and beyond. Minnesotans prize our public schools. Almost two-thirds of respondents said education was “very” or “extremely” important when deciding whom to support for elected office, making education one of the top three most important issues—along with the economy and health care—for Minnesotans going into the November elections. 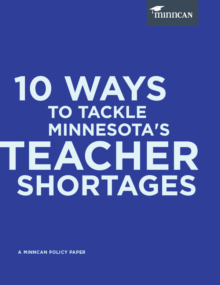 Minnesotans see disparities across race and income in our schools as a real problem. 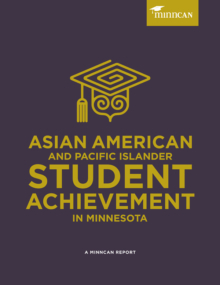 Most Minnesotans would give our schools a “B” for white and Asian students, but are less optimistic about how well schools are serving other kids of color and low-income students. 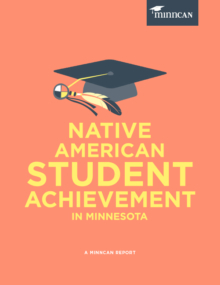 What’s more, while Minnesotans know that many students face persistent opportunity gaps, they underestimate how deep these gaps are for kids of color. Poll respondents overestimated high school graduation rates for black, Latino and Native American students. Unfortunately, Minnesotans don’t believe we can easily close these gaps. 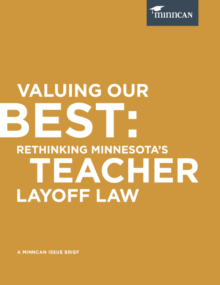 Minnesotans agree that teacher quality is critical. Having quality teachers was ranked as one of the biggest contributors to kids’ educational success, second only to family involvement. 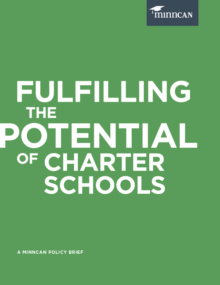 Moreover, the majority of respondents said teacher quality is one of the education hot topics they’ll consider at the polls this November, along with school funding, class size and curriculum. Annual student tests are important, but could be improved. For 41.3 percent of Minnesotans, standardized tests are not a major political issue. For the remainder—those who say that a candidate’s views on testing will impact their vote—nearly 70 percent say that they prefer candidates who support annual statewide tests.